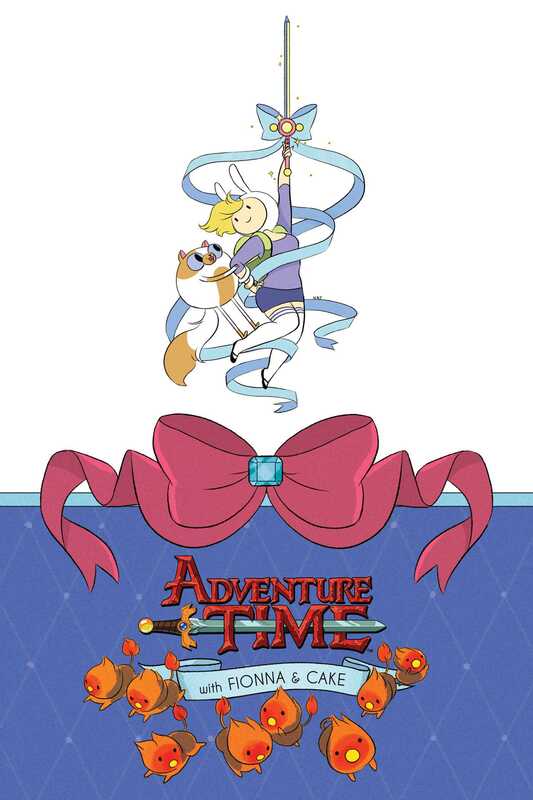 Finally the ADVENTURE TIME series based on the wildly popular gender-flipped episode has its own deluxe hardcover!! When Fionna rescues a feral flame boy from the Ice Queen, it starts her on a quest she’ll never forget...it’s a crazy adventure with magic flan and magic wands, everything you need in a monster-fighting, queen-defeating, wacky story filled with friends and sweet, sweet justice. This totally mathematical hardcover edition features never-before-seen extras, including an inside look into the making of the ADVENTURE TIME™ with FIONNA AND CAKE comic!